The cross, on which the Savior died. The wonder of the love divine. Baptize their spirits in its light. And spring immortal into life. Our only hope, the Crucified! We conquer only in that sign. 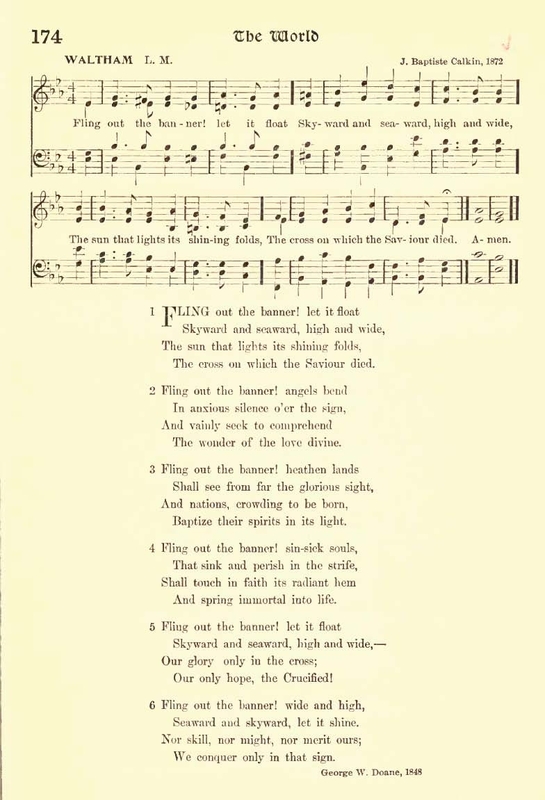 Sheet Music "Waltham" by J. Baptiste Calkin, 1872, from Henry Sloane Coffin and Ambrose White Vernon, eds., Hymns of the Kingdom of God. New York: The A. S. Barnes Company, 1910, #174.